Great for protecting desserts and other served dishes from outside contaminants at outdoor events or as a lid for your take-out container, the Emi Yoshi EMI-SB8LP PET Square Clear Plastic Serving Bowl Lid 8 oz. is a must-have for catering businesses and other food service facilities. Designed with a smooth clear surface, this serving lid gives your guests a glimpse of the food contained inside without having to open it. 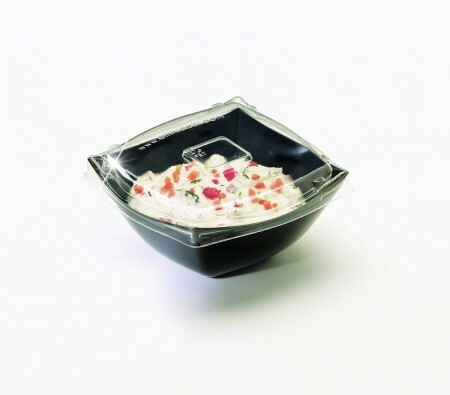 For added convenience, this square serving bowl lid is economical enough to be thrown out after use. Square Serving Bowl Lid 8 oz. 5 oz. - 9 oz.